We pride ourselves on our customer-service! Over 30 Years In Business… Serving Our Customers! A steady growth pattern has enabled us to operate from our modern manufacturing facilities & local branches. We have installed modern machinery to utilize the latest techniques and stock superior quality parts and materials to expedite manufacture. 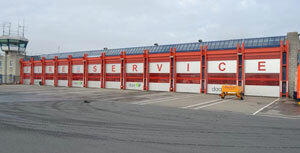 From our head office in Dublin and various regions throughout Ireland & the UK, we are fortunate to employ highly trained electrical and mechanical engineers who carry out installations for our own product range and repairs and maintenance to all types of industrial doors and shutters. Our existing customer base includes the food processing, engineering, distribution, retail & commercial industries. 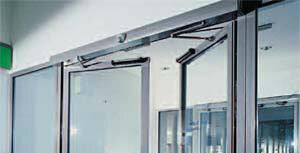 We are the leading supplier of Industrial Doors throughout Ireland and the UK. From our offices throughout the country we can deliver and fit anywhere! We supply and fit a wide range of Entrance Doors, from Office Buildings to large-scale Shopping Malls and Commercial Units - we have the Entrance Door to suit you! We have a "Fix It First" mentality - and all our trained engineers are extemely capable of diagnosing any problems you might have, and advising the best course of action to take!